Taraba State University, TASU Post UTME Form, Screening Date, Cut-off mark and registration guidelines for the 2018/2019 academic session is now available. WE are using this platform to inform all the prospective candidates who chose Taraba State University (TASU) Jalingo as their first choice and scored a minimum of 180 and above in the 2018 UTME as well as Direct entry (DE) candidates that the application form is now on sale for the 2018/2019 academic session. Interested candidates must has have chosen the Institution as their FIRST CHOICE and scored 180 cut-off mark and above in the 2018 Unified Tertiary Matriculation Examinations (UTME) to be eligible for the TASU Post UTME screening exercise. Candidates who applied for change of institution. Step 1: Eligible candidates should visit the college portal here: http://www.tsuniversity.edu.ng/home/portal/application/register.php to register. Step 2: When the page opens up, you are expected to create a username and password and then make a payment of Two Thousand Naira (N2,000.00) only online as screening charges to TSU account. Fill the form and submit it online. Step 3: When you have submitted the form, you are to print the online admission Screening Acknowledgement Slip/Receipt from the Portal. Upload all the required documents (O’ level WAEC, NECO, NABTEB, A’Level IJMB. NCE, Diploma and JAMB Result etc.) indicate your O’ level scratch card pin number on the result. Note that the original copies of your credentials will be verified at the point of physical screening at Faculty level in due time after successfully securing admission. 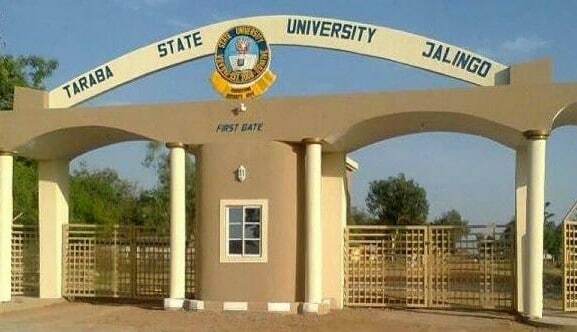 Update: Taraba State University 1st batch and 2nd batch admission list is out. TASU Post UTME screening date has not been announced yet. The sale and submission of TASU Post UTME Screening form will end on the 20th of July, 2018. The Taraba State University Post UTME Form closing date has been extended to Thursday, 16th August, 2018. The screening date has not been announced yet. Did the university carry out screen and post UTME last year?